The profession of pharmacy is currently experiencing transformational change in health system practice models with pharmacists' provider status. Gaining buy-in and support of stakeholders in medicine, nursing, and other advocates for patient care is critical. To this end, building momentum to advance the profession will require experimentation with and utilization of more efficient ways to disseminate relevant information. Traditional methods to communicate can be inefficient and painstakingly slow. Health care providers are turning to social media to network, connect, engage, educate, and learn. Pharmacy leaders can use social media as an additional tool in the leadership toolkit. 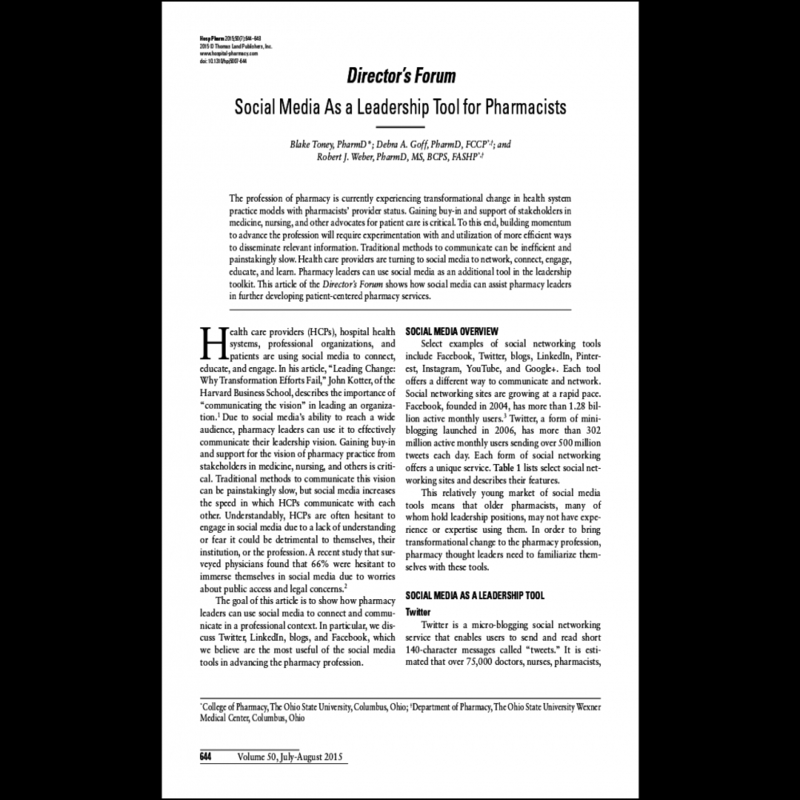 This article of the Director's Forum shows how social media can assist pharmacy leaders in further developing patient-centered pharmacy services.